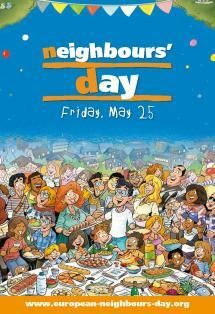 Over the last fifteen years, thousands of cities, housing associations and charities, some in partnership with their local councils, have celebrated Neighbours' Day, a day when people are encouraged to bond with their neighbours. The initiative, originally set up in Paris in 1999, aims to foster community cohesion and create better neighbourhoods where people enjoy living. Across Europe and now even further around the world, over 30 million people celebrate the day every year. To find out more about the initiative, you can download our presentation brochure.